Whereas most people have a good, clear and solid understanding of a T-shirt design, many of them are still clueless about some of the things that make a great T-shirt design. Consequently, the need to be well-versed with fundamentals of a great T-shirt design comes in handy as a great T-shirt design, has a lot of benefits. 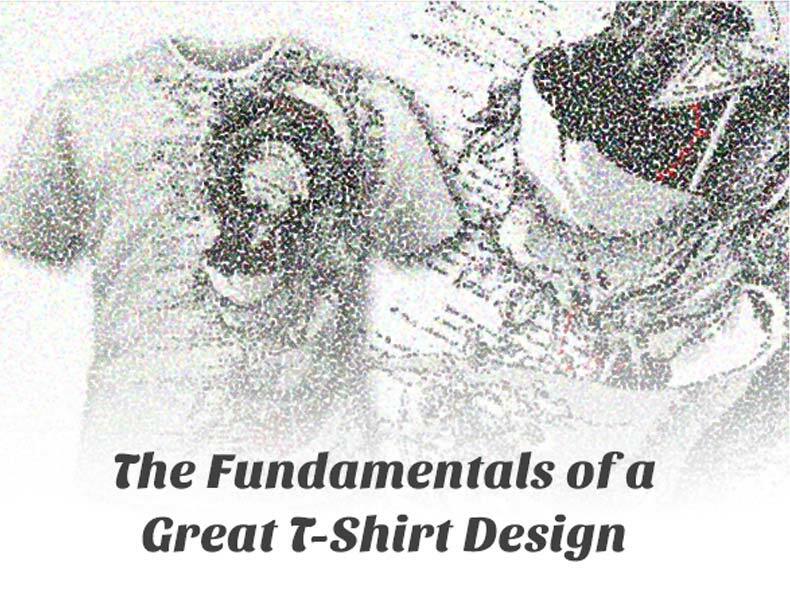 Do read on in order to familiarize yourself with virtually all aspects of a great T-shirt design. In a nutshell, a great T-shirt design is the one that appeals to you so much that you want to wear it. If the design appeals to you so much, you will not only wear it, but you will also love it so much to the extent that you will never be able to throw it away. The good thing about T-shirt designs is that everyone has got their own taste and you will therefore get a design that appeals to you whatsoever. Even though you may not be a fashion enthusiast, there is a possibility that you may have little or no interest in an ordinary T-short design. This is probably because you want something that will set you apart from the crowd. In this regard, you need to settle for a unique design that will stand the test of time. The kind of color used in a T-shirt design can make or break it, hence making color among the fundamental aspects of a great T-shirt design. Whether you like super colorful graphics, a vintage look or plain T-shirt, you should select a color that will create an impressive illustration. However, you need to look a T-shirt design in terms of a whole garment rather than the color of the graphic that is printed on it. One of the question regarding the color of a T-shirt design that you need to ask yourself is whether the color covers too much of the T-shirt hence making it feel heavy. This is a simple yet important question that you need to ask yourself whenever you are selecting a T-shirt design. The bottom line is that you need to settle for the design that you will feel comfortable while wearing. Don’t choose a design just because other people are wearing it. You may be surprised upon discovering that you are not feeling comfortable while wearing it. In this regard, go for the design that you will not only feel comfortable while wearing, but also work well on you. It is a known fact that quality supersedes everything with T-shirt designs not being an exemption. In this regard, you need to embark on finding a high quality T-shirt design that is capable of exploiting the popularity of virtually all the stylistic trends. Details matter a lot when it comes to selecting a T-shirt design. The kind of details that feature in a T-shirt design can make the design attractive or unattractive. Some of the details that you need to pay attention to include logos, graphics and icons. Whereas, great details are instant eye-catchers, it is however prudent to settle for T-shirt designs that feature simple details. This is among the most essential fundamentals of a great T-shirt design. You need to go for a design that clearly makes a statement regarding something that you feel strongly about. For instance, the design that you choose can express your opinions concerning a certain political issue. Besides knowing the aspects that makes a great T-shirt design, it is equally imperative to be conversant with how to choose a great T-shirt design. Do check out as well our article on why you need to brand your corporate merchandise. Below are some great tips on how to choose a great T-shirt design. Get to know your taste- even though there are many designs out there, not all of them may appeal to you. Therefore, you should get to know your taste in order to choose a design that appeals to you. Consider the current fashion trends- while choosing a T-shirt design, you need to consider the current fashion trends so that you can choose a design that will make you appear more fashionable. Get to know your designer - always choose a designer who understands your needs, particularly if you are interested in a customized T-shirt design. Get to know as many designs as possible - the more you know different types of T-shirt designs, the higher the chances of finding an ideal T-shirt design that will work great on you.